Would you be horribly offended if I started sharing crock pot recipes with you on a regular basis? Because with our new, nearly five-night a week karate schedule, the crock pot and I are about to become the very best of friends. This recipe was simply amazing. So yummy, so flavorful, and so darned easy. Guys? The prep time on this was around 10 minutes. Turn on the crock pot, walk out the door, and when you get home–chow down! I’d love adding onions in with the chicken while cooking, and garnishing with green onion when serving, but Doodle won’t come near anything that might have possibly brushed up against an onion. But, if you aren’t feeding someone quite so onion-phobic, add them in for me, okay? Do you use your crock pot? What’s your favorite crock pot recipe? 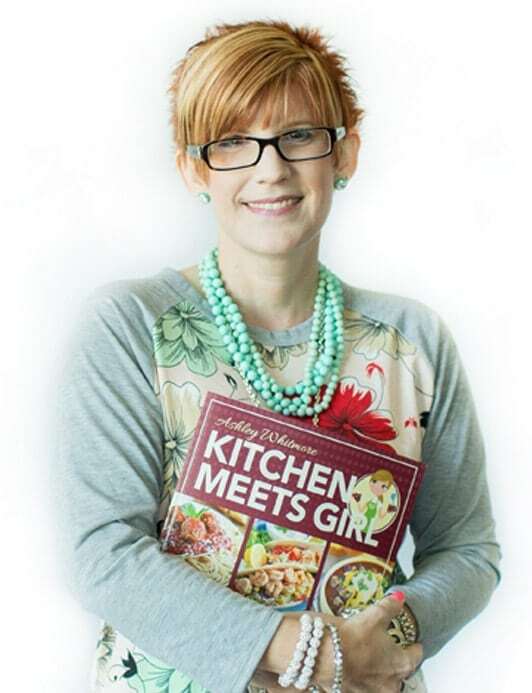 Please share some recipes in the comments below–I’m desperate for family-friendly meals to use on busy work nights! Lightly season both sides of chicken with salt and pepper, and place into your crock pot. In a medium bowl, combine honey, soy sauce, onion, ketchup, oil, garlic and pepper flakes. Pour mixture over chicken. Cook on low for 4 hours. Remove chicken from crock pot, but reserve sauce in the pot. Dissolve 4 teaspoons of cornstarch in 6 tablespoons of water and pour into crock pot. Stir to combine with sauce. Replace the lid and cook sauce on high for ten more minutes or until it thickens slightly. Shred chicken into bite size pieces. Serve chicken over cooked rice and spoon some sauce on top. Sprinkle with sesame seeds and chopped scallions. 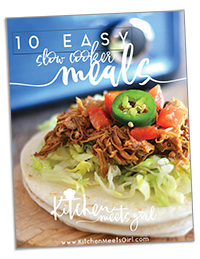 This looks awesome – I’m always on the lookout for new crockpot recipes. I don’t use mine nearly enough but it’s perfect for busy days (although I’m deathly afraid of leaving it on in the house when I’m at work so I only use it on the weekends haha). I usually just make BBQ pulled chicken but I’m thinking I really need to expand my horizons! I use my crockpot all the time and would appreciate lottsa recipes for the crockpot. I’ve always kind of been the same way–but I’ve really been putting it to work lately. I used to have just a few stand-by recipes I always used, but now I’m trying to find some different ways to jazz up the same old stuff. It really is a lifesaver for busy nights! Dooo eeeet Gurl, do eeet! I used a crock pot MANY nights for my three kiddies & a single mom(moi). Theres nothing like the smell of cooked food when YOU arrive home from a busy day @ work(or anywhere)! I made up many recipes, like barbecue chicken, over rice.Cooking the rice in my Rice Maker! So EASY!!! Use it during the work week & ENJOY!! I live in Arizona and do everything I can to limit any heat producing appliances during the summer. I found that I can plug my crock pot (yes, it’s minimal but it is a heat producing appliance) into an outlet on the patio. Maybe if you did the same it would reduce your concerns about leaving an appliance plugged in while you’re not home. Hope that helps. This looks wonderful! I’m on the lookout for easy weeknight meals too and this one is definitely going to make an appearance on my table soon! Thanks for stopping by, Candy! Easy weeknight meals are a must around my house–I hope you enjoy this one! I love my crock pot too, Lisa! I hope your family enjoys this meal–we sure did! Ummmm what a great way to break in my new crock pot Ashley! I love honey & sesame together – my favorite salad at a restaurant we frequent uses this amazing honey sesame dressing. I MUST make this. Pinning it girl!! sally @ sallys baking addiction recently posted..Soft-Baked Peanut Butter Chocolate Swirl Cookies. Thanks for the pin, Sally! I love honey anything, and this was such a super simple meal! I love crock-pot recipes so i say, keep ’em coming! I’d LOVE more crockpot recipes. Even though I am home a lot I still love my crockpot. It is just the easiest way to go. Easy make ahead meals are the greatest. This chicken recipe looks amazing. Could be perfect for game night. I would love Crock Pot recipes. Love to use mine. I am just as “horribly offended” as the rest of the commenters 🙂 More delicious crock pot recipes are always appreciated! Our two favorite quick recipes are a chicken recipe very similar to this one and an awesome beef stew using only 2-3 lbs of stew meat, 2 tablespoons of soy sauce, and a can of whole cranberry sauce. It has the same sweet and salty that your chicken recipe has. Oh Wendy, that recipe sounds great! I’m going to try that soon–thanks so much for sharing! Hi Mrs. F – I’m estimating this will serve about 6. My family of three ate this for two meals, with my husband taking a large amount, and my son and I eating a significantly smaller portion. Thank you! Made it tonight and it was devoured! My teenagers have large appetites, and I’ll make a note to double the portion for leftovers next time…otherwise it fed our family of 5(even with larger appetites). Delicious! I love this Ashley! I’m always looking for crock pot meals. This is one Jordan would actually eat! I would love some crock pot recipes. I work with a lady who always does crock pot dinners monday and tuesday nights- it’s such a quick way to have a homemade dinner. This chicken looks really good. Did the chicken stay moist in the crock pot? This looks amazing! I am going to make this. Steve would actually eat it! whoo hoo! Can’t wait to see what other crock pot ideas you come up with! Please keep sharing crock pot recipes – They’re useful year-round! How in the world did I miss this? First of all, I would be THRILLED to pieces if you posted slow-cooker recipes on the daily. I’m also beyond pooped when I get home from work and have to feed five mouths. WHYYY they can’t live off of cereal is beyond me 🙂 anyway, I am in LOVE with your slow-cooker meals and totally am already loving this. SOOO making it next week. Thought sounds easy and delicious! Going to try this for sure! Forzen or thawed chicken? Does it stay moist in the crock pot I have Rival Crockpot and everything tends to cook fast in there. Meals that say cook 6 hours on low are usually done in 4 hours. If I leave chicken in the crock pot for 6 hours it is dry. Hi Gretchen. I hear you–if I leave chicken in my crock pot for 6+ hours it often dries out. 🙁 I used thawed chicken in this and cooked it on low for 4 hours and it stayed very moist. Just seen this recipe and want to make it tonight! I am in the process of thawing some chicken right now for it. I don’t think I will have four hours after it thaws for it to cook on low. How long do you think it would take to cook on high? Thanks this looks so yummy!! Hi Michelle – I haven’t tried this on high but I think it should cook in about 2 to 2 1/2 hours. Keep an eye on it if you can so it doesn’t dry out. Let me know how it turns out and I’ll make a note of your cooking time here for future reference. Thanks so much for stopping by! I really really do love this dish! Thanks for sharing at Show Me Your Plaid Monday’s! Wow does this look fantastic. I cannot wait to make this. Thanks for responding. I bought all the ingredients and I am going to make this for dinner tonight. Beth!!! Thanks so much for the tip on the grated onion–I am absolutely trying that next time! And thank you so much for sharing your crock pot recipe – it sounds delicious. I’m excited to try some new crock pot recipes! The recipe looks great. Will make this tomorrow. Can’t wait! Oh, I hope you love it Barbara! Let me know how it turns out! Just finished dinner! It was yummy. .. will definitely make again. My pickey 2 year old loved it! I LOVE my Italian Cream Cheese Chicken. Not the healthiest, but hearty and yummy. Dry italian dressing mix, butter, cream cheese, cream of chicken soup. Cook your chicken in crock pot for a few hours with italian seasoning and butter. Few hours later mix cream cheese and cream of chicken soup with water or milk, pour over your chicken, let cook for another 20-30 min then pour over rice or potatoes. Either way is tasty! Eileen! 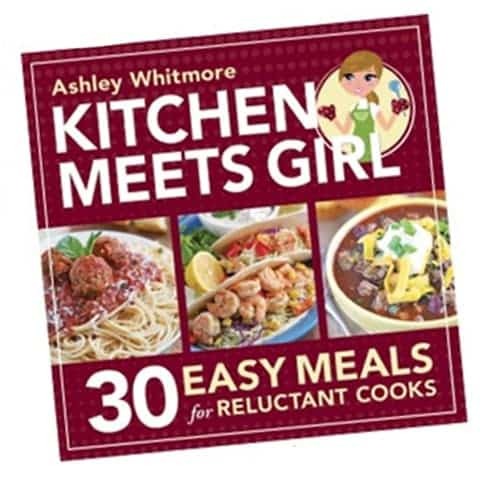 That sounds awesome-I’m definitely adding it to my list of slow cooker recipes. Thank you so much for sharing it! 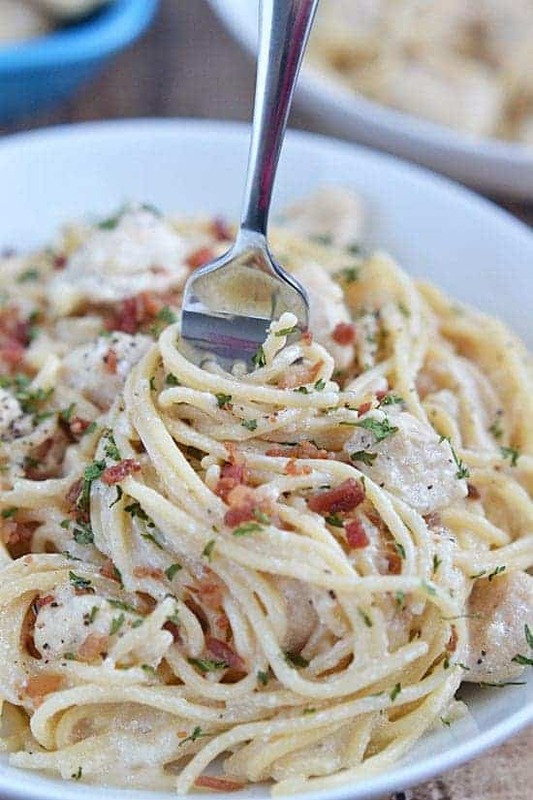 I made this for dinner this evening and it was a huge hit! 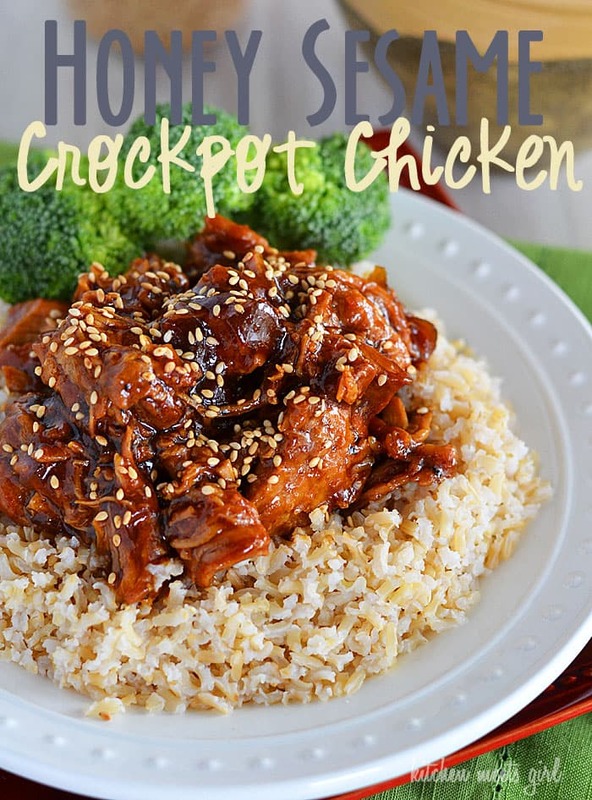 I love great crock pot recipes and this is one of the best! Will make again for sure! I have made this many times and love it 🙂 I prefer using the thighs instead of the breast meat .. what I do instead of leaving the sauce in the crockpot to thicken I pour it into a small pot and heat it on the stove .. it thickens much faster . I am cooking this as we speak! Smells great! We have been looking for Asian inspired dishes to do in the crockpot so I am anxious to see how it turns out! My son and my husband love to eat and I love the crockpot! Cant wait to try it! Cook on LOW for 4 hours? My crockpot only had a HIGH for 4 hour setting. What about frozen chicken? How long would you Cook that?? Just made this in the pressure cooker, delicious thanks! I think that you put the chicken in the crockpot raw, is this true? I haven’t done a lot of crock pot cooking yet but this recipe looked too good! I’m making it on Thursday. Hi Chelsea! Yep, you put the chicken in raw. 🙂 I hope you like it–let me know how it turns out! I saw this on Pinterest and wanted to give it a try. I ended up making it in the oven and it was delicious. I’m sure it’ll be even better next time in the crock pot. Thanks. Hi I only have 1.5 pounds chicken I was wondering how I would cut the ingredients to make it with only what I have? Made this last night and it was very tasty. I cubed the chicken, though, before I put it in the crockpot. And I had to pour the sauce into a small saucepan and boil in order for it to thicken after I added the cornstarch slurry, because it would not boil in my crockpot even on high. But other than that, it was a winner. I have followed you on Pinterest and Facebook for a while. I will be trying this tonight, probably in the oven as I don’t have time to wait for the crockpot. Looks yummy! I’m trying your recipe tonight! I’ve tried a few recipes of yours and they have been great but never commented. Thought I’d let you know and keep more recipes coming! Omg yes it’s delicious! Made a stir fry of cabbage, carrot, celery and ginger to serve with it and I also added sriracha for a little spice! Everyone loved it! I just ate the rest for lunch! Tried this tonight and it was delish! My crockpot does not get hot enough to thicken with the cornstarch so it was a little gritty. I may do what someone else suggested and thicken the sauce on the stove. I will definitely be making this in the future and probably using the sauce for other things. I served this with fried rice found here: http://rachelschultz.com/2012/07/14/better-than-takeout-chicken-fried-rice/ without the chicken. They complimented each other quite well with one being sweet and the other being nutty and salty. Better than take-out all around for this one! This looks great but, do you have the nutritional break down for this recipe? Can you make this the day before you serve it? Thanks! i feel ya, doodle! and this recipe is yuuuuuuuummmmmmy! brush mustard on one side and roll in seasoned flour. Take cream soup of your choice ( I make my own ) put some in the bottom of crockpot then add pork chops one at a time then some more soup, and stack if necessary, I usually have 2 layers. pour the rest of the canned soup over and cook on low for your day. Mine isn’t dry and serve with home made herbed noodles and a veggie. Ummmmmm…not so good results. I am a “follow the recipe” person. I prepare food, I don’t cook. This was a “fail”. I followed the recipe to t T and the chicken was dry. How does THAT happen in a crockpot? In any event, the savior was good old original RiceARoni to make the chicken edible. Tomorrow lunch will be a chicken sandwich loaded with Miracle Whip, lettuce and tomato. That will taste better than this dinner.